718 AP2 irons raise the bar on the gold standard for tour iron excellence. 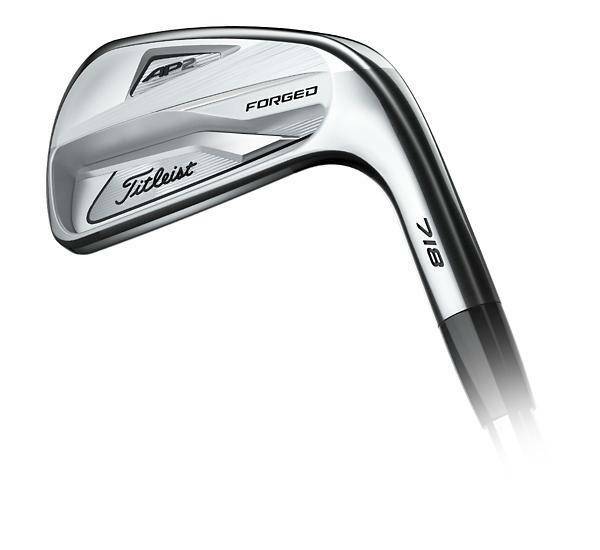 If you demand ultimate playability with consistent distance and forgiveness, these are the irons for you. AP2 irons feature Tour-proven performance, validated by the best players in the world. Both speed and MOI have been maximized to provide total control and distance anyone can appreciate. Greater forgiveness and stability are achieved through precise perimeter tungsten weighting and a unique co-forged construction. Attack even the most challenging pin placements with more confidence than ever. The Tour player-preferred look, sound and pure forged feel wrapped up in one unmistakable package. Now with a refined leading edge for more efficient turf interaction and pure feel through impact.